The idea is to encourage women who might not be sure about attending a football match to give it a go and see just how much fun it is! There will be a fantastic team of volunteers to welcome you, ensuring that it’s a safe, enjoyable and fun experience on the day. Before kick-off, there will be a pre-match meet-up in a nearby café. Volunteers will then provide help in getting to the ground and through the turnstiles, and make sure that those who have not been before are comfortable with the arrangements once inside the ground. This event has been organised by the Diversity and Inclusion (D&I) working group, set up to find ways to increase diversity within the club and spread the word about just how inclusive our club is. 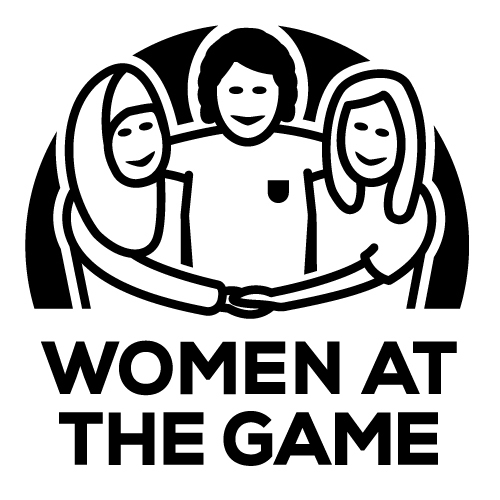 Read more about what the Trust is doing to support Women at the Game in this recent post. 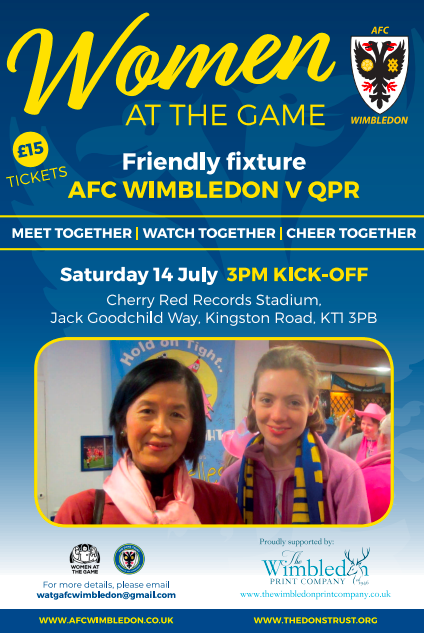 Dons supporter Anna Slade, Organiser of ‘Women at the Game’ for the Dons Trust D&I group, interviewed Wimbledon’s female fans at a game last season and it is hoped that this type of event will take off. This entry was posted in News and tagged diversity, inclusion, pre-season friendly, wombelles, women in the game. Bookmark the permalink.